How long is thirty-five years? Is it a long time or a short time? If you are a teenager then it probably seems like an age. You associate it with old people. If however you are an old person, or even a middle-aged person, it may not seem that long. I am a middle-aged person. I used to think thirty-five years was an enormous length of time, but now I don’t think like that. I accept that it is quite a long time, but I base my view on the perception that thirty-five years can seem to pass quite quickly. I think if you can vividly remember things that happened thirty-five years ago, then that, among other things, is what makes it seem to be a fairly short period. 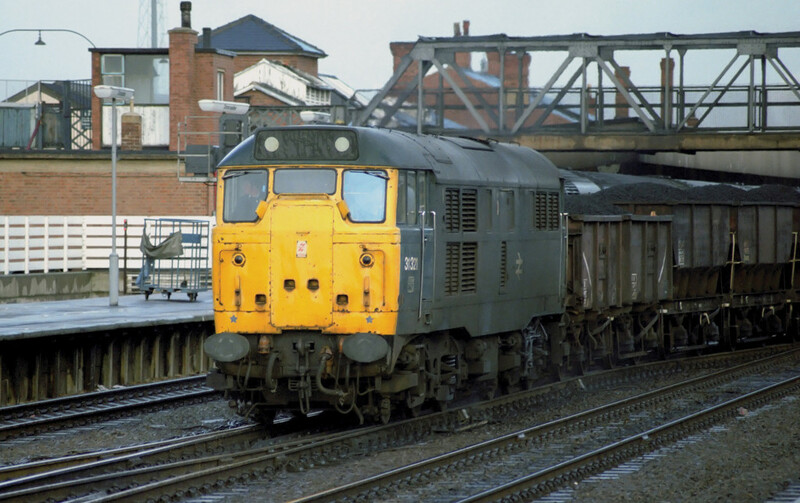 I am focusing on this particular passage of time here because as I write in 2017 it is thirty-five years since the Deltics were withdrawn from main line service in 1982. To we ‘fifty-somethings’ this seems absurd. How can it be so long ago? It’s half a lifetime, more or less. Let’s go back to 1982 and consider what thirty-five years felt like then. First and foremost, the Deltics themselves had not been around for anything like that length of time. Ignoring the prototype, ‘Deltic’, for a moment, the production locomotives had clocked up a mere twenty-one years in service. I think these days we’d probably consider a twenty-one year old locomotive to have many years of work ahead of it. Standing on the platform at Doncaster on New Year’s Eve 1981 though, as I did when photographing the Deltics at the very end of their careers, I distinctly recall thinking, ‘well, it’s all over, but after all, they are old and worn out’. They seemed like old machines then. I was only 19 myself. They were older than me, so they seemed legitimate candidates for retirement. The era in which they had carried two-tone green livery and numbers prefixed with a ‘D’ was a mere sixteen or so years previously, but to me it might as well have been ancient history…and as for the days when the pale blue prototype was in service, well, that was too far back to compute. If one had turned back the clock thirty-five years from 1982, one would arrive at 1947, just two years after the end of the Second World War. 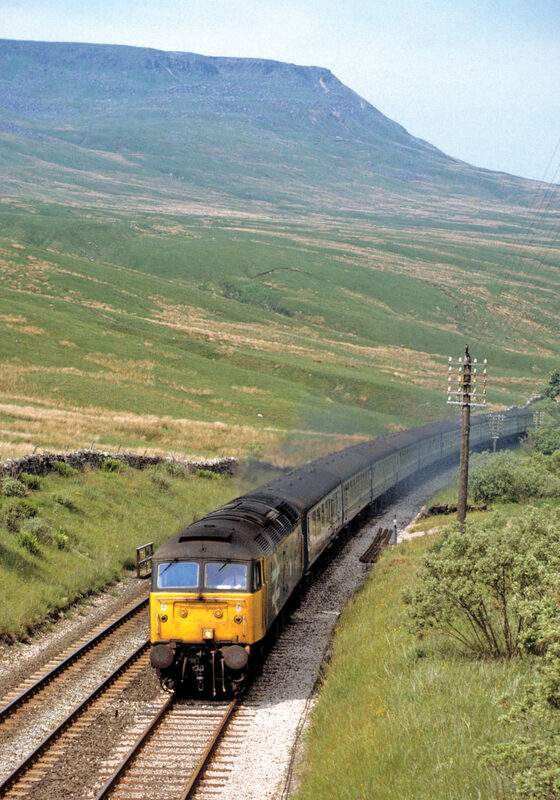 As Van Morrison might say, ‘in the days before rock and roll’… and in fact not only that, but ‘in the days before British Rail’. I guess that kind of puts the time span in perspective. 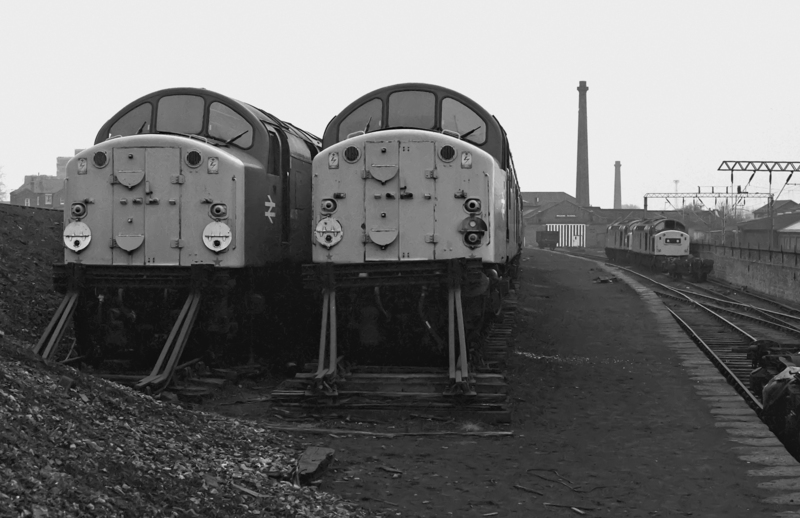 The years that have now passed since the retirement of the Deltics – those three and a half decades – would safely contain the post-war steam era, the BR Modernisation Plan, the careers of a panoply of pilot scheme diesels, and the entire duration of the Woodhead electrification, the latter only twenty-seven years or so (at least counting from the opening of the ‘new’ tunnel in 1954). Thirty-five years is perhaps a long time after all. But those years since 1982 have flown by. Memories of the Deltics at Doncaster are still fresh. 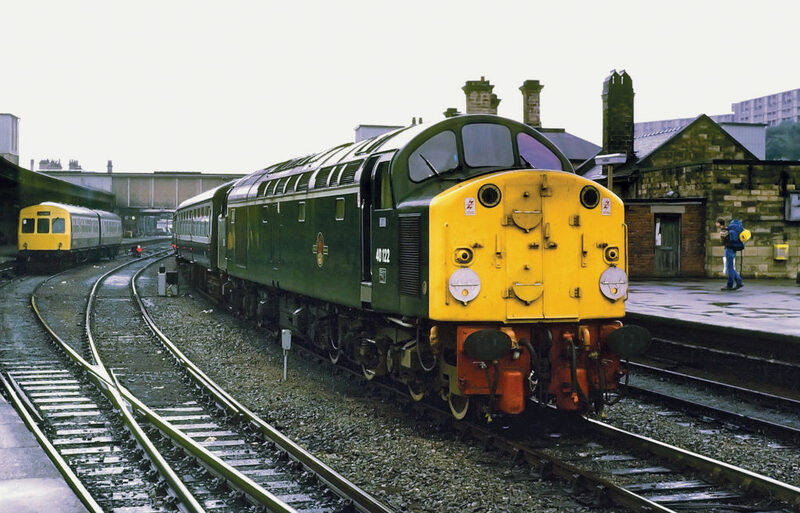 In my book ‘Diesels at Doncaster’ there is an image of Deltic No. 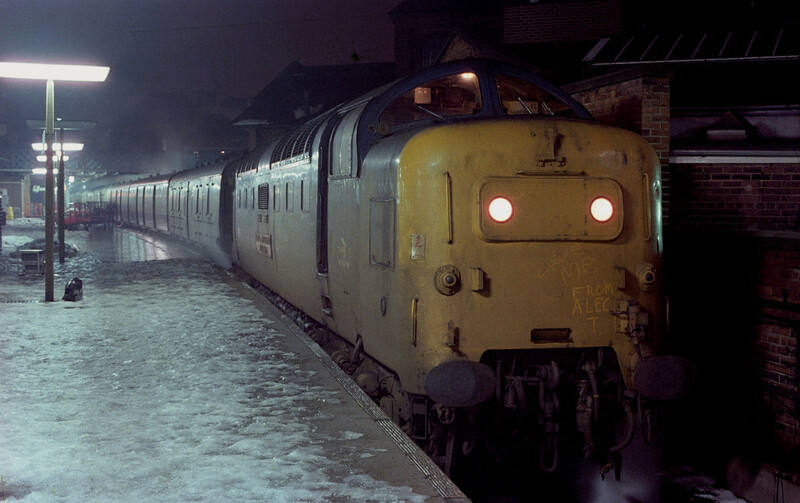 55021 ‘Argyll & Sutherland Highlander’ on a freezing platform 8 on the night of 31st December 1981. When I look at that picture, taken three and a half decades ago, I can still feel the chill, hear the hum of the Napier engines and smell the exhaust fumes. It seems like yesterday. 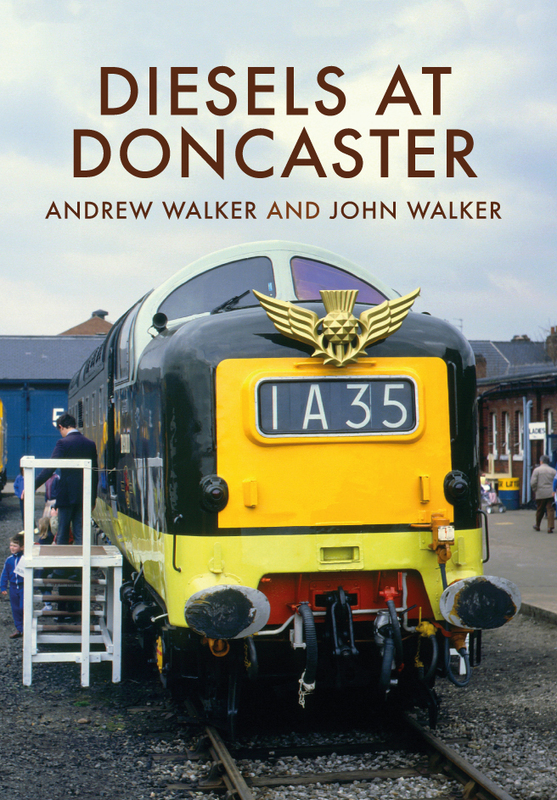 Andrew Walker and John Walker's book Diesels at Doncaster is available for purchase now. 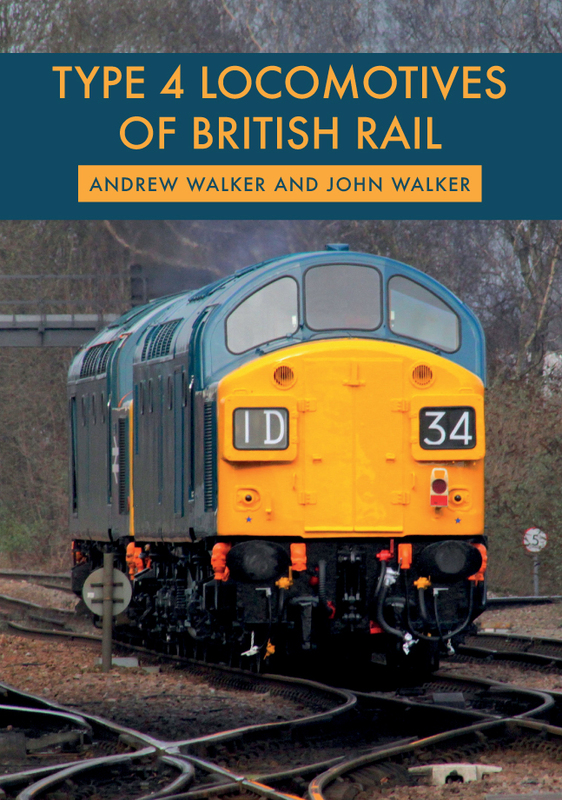 This entry was posted in Blog and tagged Diesels, Doncaster, Andrew Walker, Diesels at Doncaster, Trains, Amberley Publishing, railways on September 29, 2017 by Amberley Publishing.